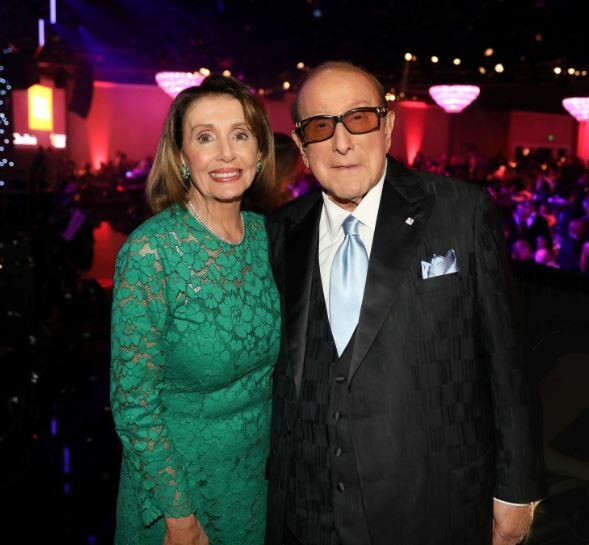 “You know, Clive,” says Nancy Pelosi to Clive Davis during the latter’s legendary Pre-Grammy Gala, “I’m not going to ask why the merest arch of my eyebrow sends Donald Trump into spasms of agonizing pain. I’m just gonna go with it.” Nancy was but one of countless luminaries at this, the heaviest of all Grammy-week fetes, where the host and music-biz icon hailed her as “the highest-ranking female elected official” in the U.S. and noted the huge importance of her role in the present climate. Clive’s colossal confab—co-executive-produced by Doug Davis—drew A-listers from across the spectrum of society—music, film, TV, politics, sports, tech and more. Unfortunately for its organizers, it also drew Z-lister Todd Hensley. But more about that later. It’s remarkable that after 43 years, Clive’s Grammy-eve gathering still has its fastball. “Bucket list” was one manager’s pithy description of the annual schmoozefest. One random serendipitous experience sums up what you get at this event: A songwriter returned to his seat with eyes glowing after hitting the loo with Tim Cook on one side and Metta World Peace on the other. 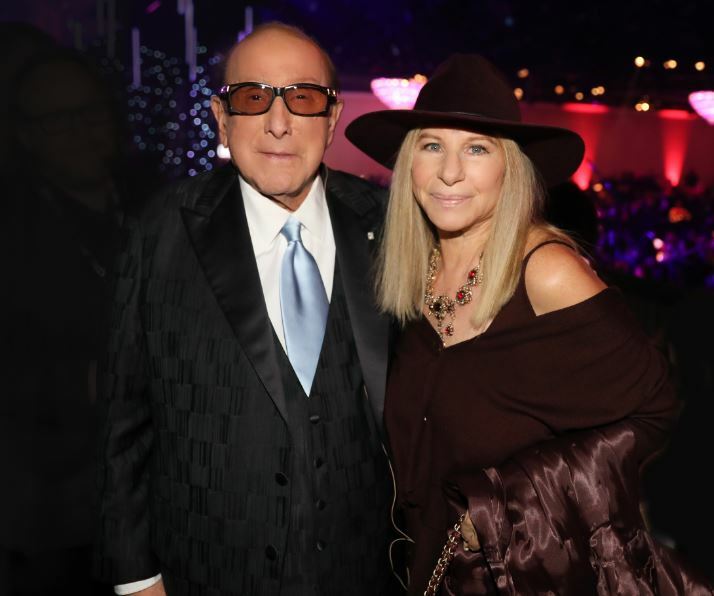 You might think that Barbra Streisand, Joni Mitchell, maybe Kareem Abdul Jabbar or even Kylie Jenner would be the most sought-after for selfies in the room. 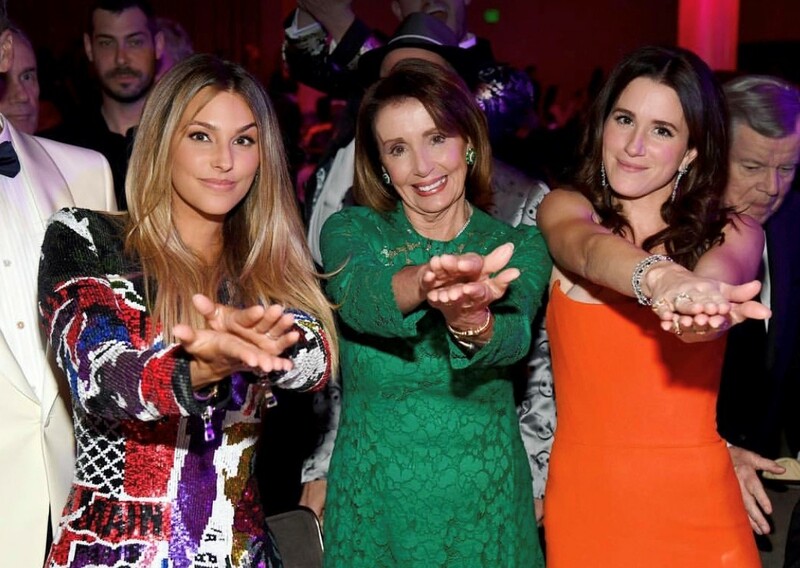 But as it turned out, those A-listers all wanted a pic with last night’s biggest rock star—Speaker of the House Nancy Pelosi. Even Industry Icon honoree Clarence Avant shouted her out in his speech. It’s abundantly evident that, as Clive introduced her as “the highest-ranking female elected official” in the U.S., Pelosi is living her best life and loving every moment of it. The event, which started at 7pm and ran well past midnight, had countless highlights, including Travis Scott kicking off the night; Morris Day and the Time, with Jimmy Jam and Terry Lewis (and of course the mirror guy) had everyone on their feet singing along to “The Bird”; Keala Settle bringing the room to its knees with “This Is Me” from The Greatest Showman; H.E.R. classily demonstrating why she’s a Best New Artist nominee. Those memorable moments merely scratch the surface of the show portion of the evening. This event reminded everyone in attendance how lucky we are to get up every day and do what we do.